Enrique Gabales used to be a fish peddler residing in the townof Buenavista in the province of Agusan del Norte, Philippines. At the age of 54, Ricky, as he is locally called, peddled fish on his motorbike, carrying his goods in Styrofoam boxes installed on both sides of his vehicle. To provide for his family’s day-to-day needs, Ricky had to leave home at dawn, procuring his stocks and peddling in neighboring towns. 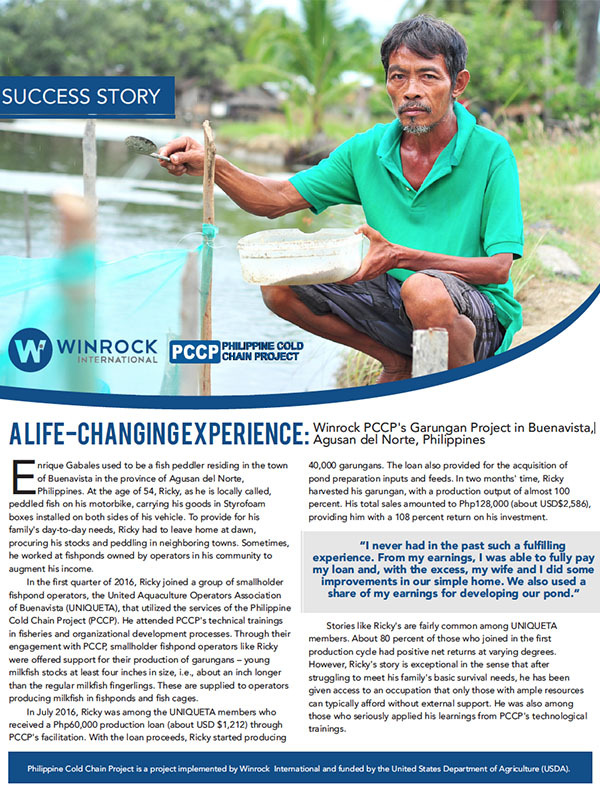 Sometimes, he worked at fishponds owned by operators in his community to augment his income.